Where do I use my The North Face voucher code? Initially founded in 1966 as a mountaineering retail store within San Francisco, The North Face grew from what used to be a shop by the beach into a globally revered super-brand. Over the years The North Face evolved from selling climbing and backpacking equipment to innovating and designing high-performance outerwear, ski-wear, equipment and more - used by athletes, explorers and the determined individual. Although the brand has profoundly grown since its establishment, its ethos remains the same - outfitting athletes and modern explorers with the very best, preserve the outdoors and inspire exploration. Unlike some modern companies, when you’re shopping with The North Face you can take comfort in knowing they’re geared towards creating positive change in the world; creating industry-leading sustainability and recycling initiatives, their head office is powered 100% by renewable energy and they’re using athletes to inspire a new generation of people to take climate action seriously. Fancy treating yourself to a brand new The North Face coat, but don’t necessarily want to splash out the full RRP? Good news, get yourself over to The North Face sale - huge discounts are to be had on a full range of products such as coats, jackets, hoodies and more! Clearance prices span all the way up to 50% off - if you’ve been trying to source that warm winter coat or light jacket for the spring months then now is the time. Remember whenever you shop with The North Face, all deliveries and returns are included free of charge; if you subscribe to the email service you’re entitled to a free £10 off voucher when you spend £100 online! If you happen to be in full-time education at the moment - whether it's college or university, then The North Face has something good instore for you. You're entitled to a free 10% off discount code to use on your order whenever you shop with The North Face. Simply register to Unidays with a valid email provided by your educational institution and you're good to go! Select The North Face through the Unidays website and you'll receive your discount code, all you need to do is apply it at the checkout. How can I contact The North Face? You can use their ‘Contact Us’ message form found on their website. What is the contact number for The North Face? The North Face has been at the cutting edge of climbing and backpacking since its inception over 50 years ago - expanding into mountaineering, extreme sports and innovating with new fabric technology. As time has gone on the brand has developed from its roots in offering outerwear that’s functional, reliable and robust; to crafting stylish apparel, footwear and equipment that’s suited just as well for a night out in the town, as it would be traversing through a mountain range. 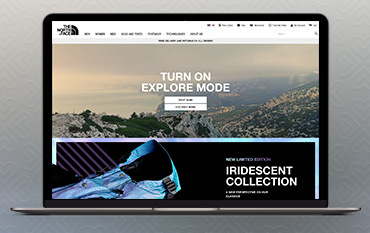 When you visit The North Face website you can expect to witness an impressive range of collections, suited for all interests and tastes; incorporating different designs, concepts and colours - like the ‘92 Rage, Nuptse or Expedition Africa collections. There are plenty of ways to save when shopping with The North Face, ensure you shop with a North Face discount code from us to get the most for your money.